If all of our loose ends could fit inside a Black Hole® Cube, life would be so much easier. This super-burly gear cube has a simple design that plays a big role when it comes to organizing and corralling your gear so you can find what you need inside a stuffed duffel bag, loaded backpack or the cluttered cab of your truck. It features a simple zip-opening design, an exterior daisy chain that lets you lash it to the outside of bags and a large, glove-friendly grab handle. Made from 13-oz 450-denier polyester ripstop (50% solution-dyed) with a TPU-film laminate and a DWR (durable water repellent) finish. Patagonia grew out of a small company that made tools for climbers. Alpinism remains at the heart of this worldwide business that still makes clothing for climbing – as well as for skiing, snowboarding, surfing, fly fishing, paddling and trail running. These are all silent sports. None require a motor and in each sport, reward comes in the form of hard-won grace and moments of connection between us and nature. 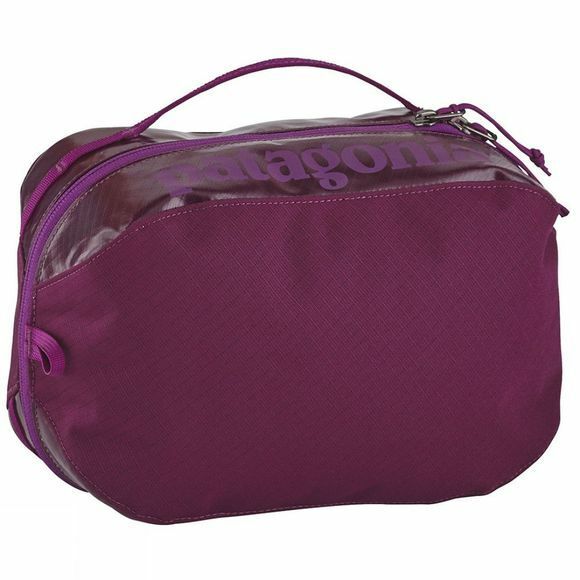 Patagonia only use organic cotton, recycled materials or repurpose worn-out products within their product line. At Patagonia, a love of wild and beautiful places demands participation in the fight to save them, and to help reserve the steep decline in the overall environmental health of our planet. Patagonia donate their time, services and at least 1% of their sales to hundreds of grassroots environmental groups all over the world who work to help reverse the tide.